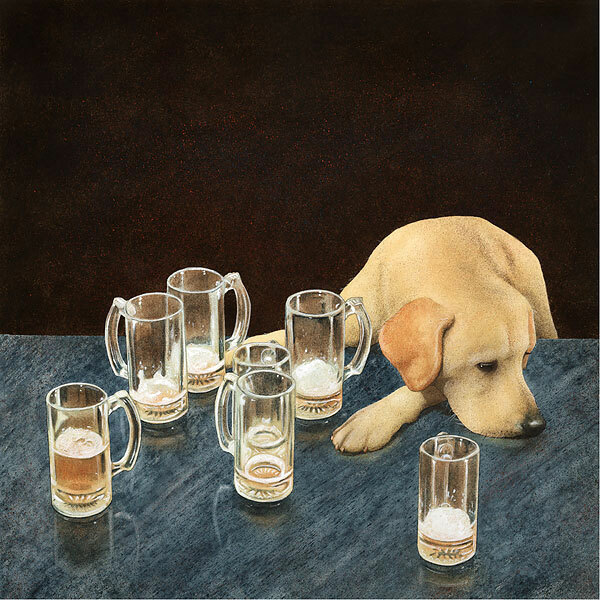 What do dogs, bars, beer and the well polished turn-of-phrase have in common? They are all beloved subjects of artist Will Bullas. Last call is fast approaching and maybe there’s time for one more but how many is too many? Or “what’s that in dog beers...?" This little guy looks done. Add some laughter to your home entertaining with this latest “wink” from Will Bullas.